Stein (This Room Is Yours, 2004, etc.) examines the chance reunion of two former lovers in his brief fifth novel. It’s been 12 years since the passionate year-long affair between Jonathan Parrish and Lily Mayeux. They had grown up as neighbors in rural Connecticut; on one return visit, the 30-year-old Jonathan realized Lily, eight years younger, had become a beautiful young woman. They quickly became lovers, Lily moving in with him in New York. Jonathan was working for the UN as an educator, flying into war zones around the world and helping local children recover. Their crisis came when Lily’s sister died suddenly. Jonathan was in Nicaragua. Lily cabled him to return for the funeral; he waited three weeks. By then, Lily’s heart had hardened, and she ended the relationship. Now it’s 1984, and 43-year-old Jonathan is driving to New Orleans for an educational conference at which he’s a featured speaker; he lives in Vermont, where he’s a university teacher while still undertaking assignments for UNESCO. Lily, now herself a teacher, will be flying in from Maine; she has a husband, an okay marriage and a four-year-old son. Jonathan has stayed single; he’s had two serious affairs, but Lily remains the love of his life. Not much happens in New Orleans. They meet for lunch and two dinners in Jonathan’s suite. Stein switches back and forth between Jonathan’s and Lily’s viewpoints, making this a he-thinks/she-thinks tale, in which the influence of the past on the present is all-important. The construction is arid; more dialogue would have been welcome. Their mutual attraction is still intense, though finding expression only in one kiss. Will this be an American Brief Encounter? Or will Lily leave her husband “to take the side of daring and madness”? Stein proves, disappointingly, to be as ambivalent as his characters, tacking on a makeshift ending. 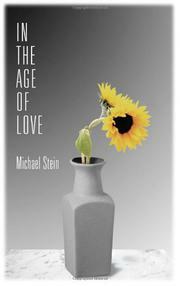 For all his careful construction, Stein’s novel never quite takes off.